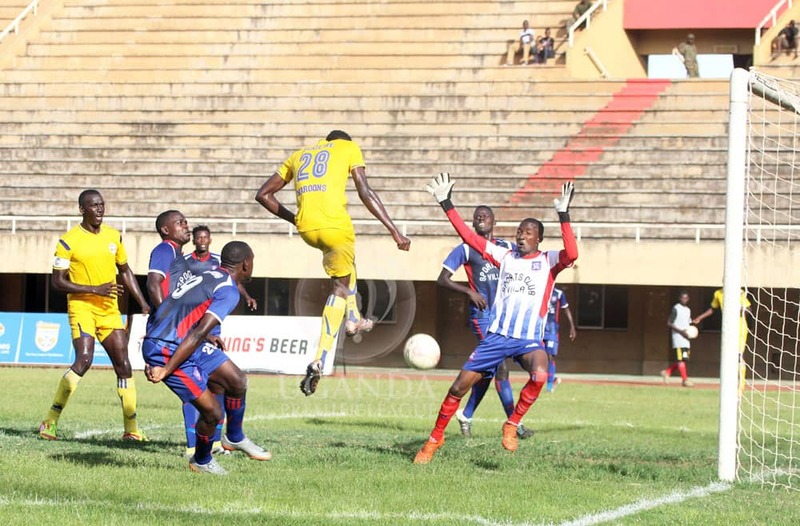 NMBOOLE – Bashir Mutanda missed a second half penalty as his SC Villa side drew 1-1 at home to Maroons FC in the StarTimes Uganda Premier League. In the only game played on Thursday, the in-form forward who scored the lone goal in Villa’s only victory of the season, last time out (away to Nyamityobora) had in the first half, canceled out Pius Obuya’s strike to level matters for the record league champions. It was a case of missed opportunity for Villa who are struggling at the wrong end of the table but they will also feel lucky as Maroons missed several opportunities of their own. The biggest culprit of the day was former Joggos striker Yubu Bogere who couldn’t put several opportunities that came his way, to bed. Bogere had a chance with only a minute to play in the first half but nodded into the ground and over with the goal at his mercy after he was played in expertly by Brian Majwega’s well weighted cross from thw left. The lanky forward also found him self one on one with Villa custodian Samuel Kivumbi at the hour mark but could only find the side net with a ferocious shot. On a day that was filled with frustration for the home side, Ashraf Mandela was lucky not to see red after a reckless challenge on Okello Silvestre late in the game only got him into the referee’s book with just a yellow card. Pius Obuya who is one of the highly rated young players in the division did his congregation justice on 32 minutes with a poachers’ strike, heading in a lose ball inside the Villa area after Manko Kawesa had mis-cued his clearance off the cross-bar. However, the goal of the day praises belong to Mutanda whose venomous strike from outside the area found the top right-hand top corner after he was teed up by Mandela on 39 minutes. Mutanda’s goal was his sixth of the season and it takes him level atop the scoring Charts with Kirinya’s Joel Madondo. With 20 minutes to play, Mutanda was brought down in the area and after referee Shamirah Nabadda pointed to the spot, the forward picked him self up, took the resultant kick but was saved by Emmanuel Akol in Maroons goal. The draw by Villa means that they have now failed to win 9 of their opening 10 league games of the season and remain 11th on the log with 8 points. For Maroons, they are now in 13th with 7 points from 10 games. The League resumes on Saturday with six games.